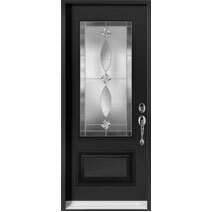 Bella Vista’s custom made entry door systems are manufactured in Canada with the use of genuine superior quality components and proud craftsmanship. 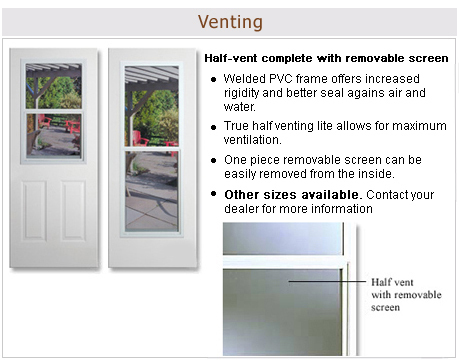 Heavy duty high definition 24 gauge galvanized steel insulated panels will provide you energy efficiency, comfort, noise reduction, and maximum security. 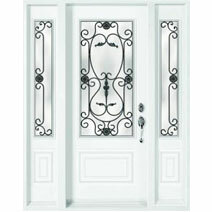 Our door systems are elegant, maintenance free, and built to last a lifetime. 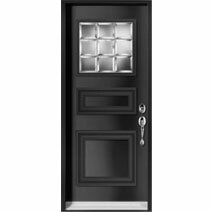 We carry a full line of Steel Entry Doors, Executive Doors, and Garden Door Systems in unlimited selection of Premium Colours. 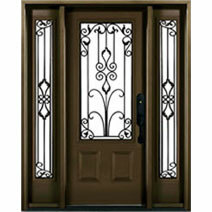 Energy Efficient Performance Glass, Wrought Iron, Mini Blinds, Venting Units, Decorative Stained and Beveled Glass, in a variety of patterns, Internal Grills, with your choice of Clear or Privacy Glass. 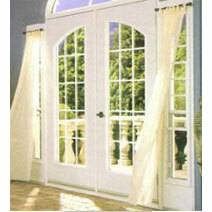 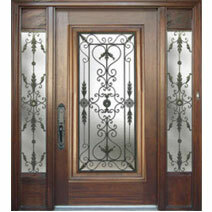 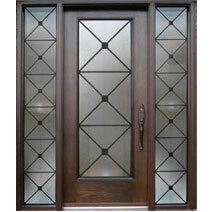 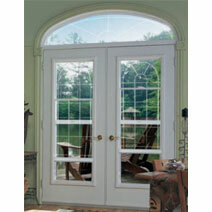 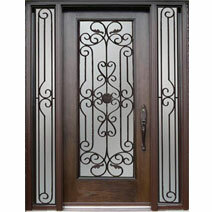 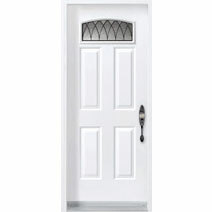 Bella Vista offers a wide selection of steel entry doors and glass inserts. 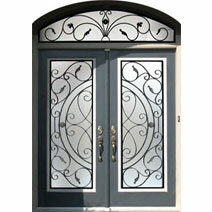 Steel doors are recognized for superior security benefits, including their insulation factor. 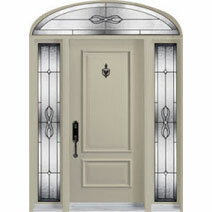 These doors can be painted to coordinate with your home color schemes. 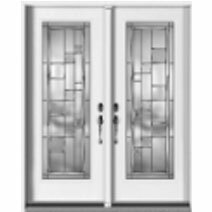 Bella Vista's steel doors come in a wide variety of panel designs and glass options and are available in both steel edge and wood edge construction. 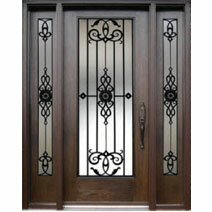 The executive panels provide the look and beauty of classic wood to your steel entry door. 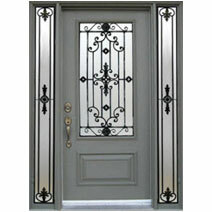 This panel can be installed as is, or can be combined with a door glass, to give your entry door a beautiful and unique appearance. 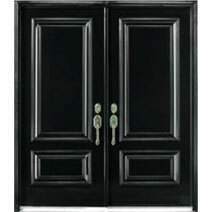 As in steel doors, the executive panels can be painted any color. 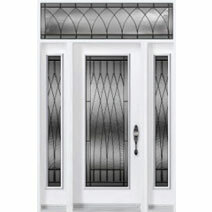 This collection includes the combination of artistic iron and glass. 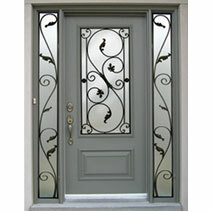 Handmade one piece at a time; each item is truly inspirational and demonstrates an appreciation for old world art! Our swinging garden doors will add elegance and beauty to your deck or patio entrance, also enhancing the appearance and value of your home. 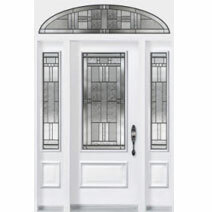 All of Bella Vista's Garden Door Systems are available as center-hinged (with one door operating), or as side-hinged (with one or both doors operating), for maximum venting. 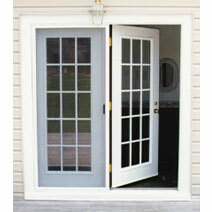 Exterior Moulding - covers gap between frame and brick. 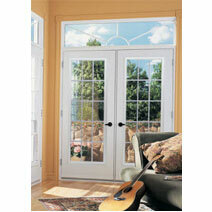 Available in maintenance free uPVC vinyl clad or wood in wide range of colors. 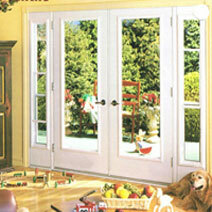 Heavy duty treated Kiln-dry Ponderosa Pine finger-jointed frame to prevent warping and decaying. 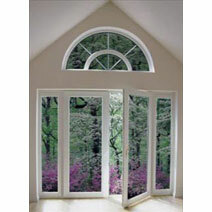 Available in maintenance free uPVC vinyl clad in wide range of colors. 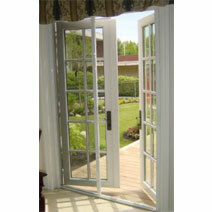 Allows for ease on entering. 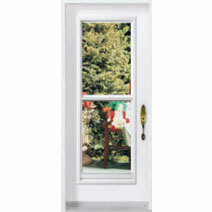 Manufactured from heavy gauge aluminum with solid wood sub-sill and vinyl thermal break to eliminate cold transfer. 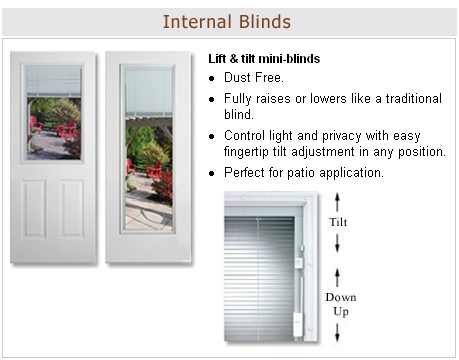 Interconnects with sill crown to ensure a tight seal. 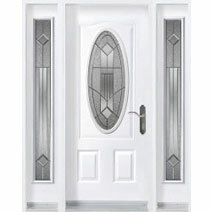 Multifin self-draining sweep to avoid any water or air penetration. 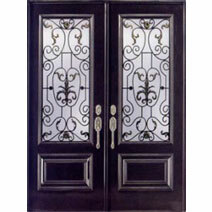 Screw cap covers along the bottom cover unsightly screws.